A recent case has drawn additional attention to the question of what happens to embryos created and frozen while a couple was together, after that couple has split. In that case, a Chicago doctor, Karla Dunston, received a diagnosis of non-Hodgkin’s Lymphoma after a large tumor was discovered on her lung. Her doctor advised her to begin aggressive treatments for the cancer immediately, but advised her that she would not be able to have children naturally after beginning the treatments. Dunston contacted her then-boyfriend, Jacob Szafranski, to see whether he would be willing to create and freeze embryos for her use in the future, and he agreed. Dunston and Szafranski had a contract created governing what would happen if the couple split before the embryos were used, but did not sign it. The pair did sign a consent form at the clinic where the eggs were stored stating that the embryos would not be used if both parties did not consent. About a month after Dunston began her cancer treatments, Szafranski ended their relationship. Shortly thereafter, he also stated that he did not want Dunston to ever use the fertilized embryos to conceive a child. When Dunston later attempted to use the eggs to conceive, Szafranski objected, arguing that he should not be forced to reproduce against his will. Dunston had previously agreed not to make Szafranski financially responsible for a child. After Dunston won her case at the trial level, the court on appeal held that where a legal agreement between the parties didn’t exist, the parties’ interests should be balanced against one another to determine a just outcome. In this case, the trial court again awarded the embryos to Dunston, based on their oral agreement. Szafranski again appealed, arguing that the contract the pair signed at the clinic meant that Dunston could not use the embryos without his consent. 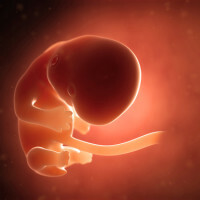 However, on his second appeal, the court again found in favor of awarding Dunston the embryos, reasoning that the clinic agreement only governed the clinic’s disposition of the embryos, not Dunston’s. Szafranski has stated his intent to appeal this decision to the Illinois Supreme Court. In 2001, a New Jersey court faced a similar question. A divorced couple had a number of embryos at a fertility clinic. The couple signed an agreement with the clinic stating that the embryos would belong to the clinic in the case of a divorce unless a court ordered otherwise. The ex-wife sought to have the embryos destroyed, while the ex-husband wanted them to be given to another couple. The New Jersey court also used a balancing test to determine that, since this was not the ex-husband’s last opportunity to reproduce, the ex-wife’s interest in having the embryos destroyed held more weight, and awarded the embryos to the ex-wife. This result does leave open the possibility that a future New Jersey court, facing a decision more like the recent Chicago court, would rule in favor of a party who would not have another opportunity to have genetically related children, even against the other party’s wishes. Legal matters relating to reproduction can become extremely contentious due to their personal nature. If you’re facing a challenging family law matter, look for a New Jersey attorney you can trust to calmly and knowledgeably defend your interests. Contact the Union Law Offices of John B. D’Alessandro for compassionate, insightful representation in your family law issues, from anywhere in the area, including Maplewood, Rahway, Hillside, Bergen County, and Hudson County. Call 908-964-0102 for a free consultation.